Tacoma's East Side is a vibrant community on the rise, with affordable housing drawing all walks of life. East Tacoma resides on a hill that overlooks downtown, offering wonderful views of Mt. Rainier, the Tacoma Dome, and of the city in general. 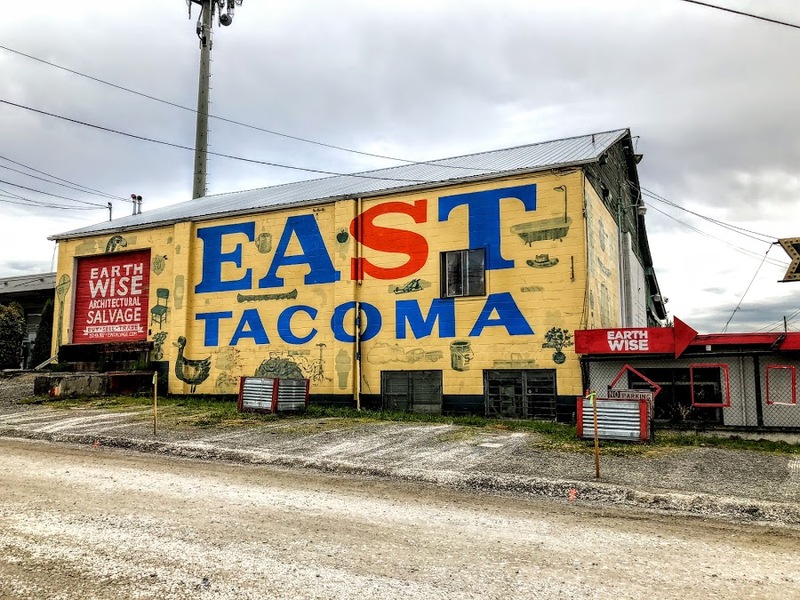 With cheap housing options and an influx of exciting small businesses, East Tacoma is quickly becoming one of the city's most essential neighborhoods. Culturally, East Tacoma is just about as diverse an area as you're likely to find. Every summer, a street fair takes over McKinley Ave, drawing out large crowds of East Side residents to celebrate the rich character of the neighborhood. Some of Tacoma's best bars and restaurants find their home on the East Side, including the Top of Tacoma – an always-improving hub of fine drinks and exceptional food – and Stanley and Seafort's – a local institution that provides upscale American dining with a view of Tacoma that can't be beat. Several schools are located nearby, making East Tacoma a perfect place for families to settle. Top of Tacoma is a nearly perfect neighborhood bar. They offer delicious, eclectic food and have a very friendly, responsive staff. Diversity: 48.53% White, 15.23% Black, 13.74% Asian, 22.5% Other. Earthwise Architectural Salvage in East Tacoma is a treasure hunt full of vintage hardware, light fixtures, and things ready for reuse like lumber and building supplies. Come on Tuesdays to this market on McKinley, open for the summer season. Local farmers bring veggies, and you’ll also find flowers, pizza, crafts, and snacks. We love walking S. 34th Street for the views down into gulches and out over the Port of Tacoma and downtown. Sunset from the 34th St. Bridge from East Tacoma looking west.